There are automatic thoughts that come to people’s mind when they hear the phrase “couples counseling.” These thoughts may sound like, “Oh, they’re going through a rough patch,” or “they should really go to couples therapy, they need it.” Couples therapy is open to all couples struggling or not. Grazel offers couples counseling in Los Angeles to couples seeking therapy to maintain the healthy relationship they have built with their partners. For some individuals, doing therapy in nature is calming and grounding. Grazel is a mindfulness practitioner and incorporates her knowledge in mindfulness when working with patients. She offers “mindful walking” based therapy to hone into your innate ability to heal symptoms of anxiety, depression and trauma by learning to use the basic human senses (e.g. sight, hearing, smell, taste and touch) as your grounding techniques. Please be aware, however, that this type of treatment is not for everyone. Grazel is an expert in “Emotionally Focused Therapy”. 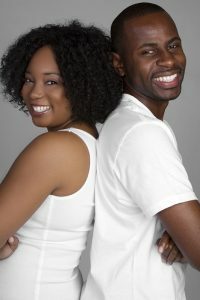 This modality is great for couples counseling in Los Angeles as well as for individuals. It seeks to foster a creation of a more secure bond between the partners. It does that by making a shift in the positions through which the partners interact with each other. In turn, that can create whole new cycles of interaction that connect them more tightly and securely to each other. Emotionally Focused Therapy (EFT) helps improve adult relationships. Studies have shown that roughly 3/4ths of couples using this kind of therapy move to a place of recovery and from a place of distress. On top of that, around 90% of couples show significant improvements. EFT helps couples discover and learn about their interactions that trigger certain negative responses from their partner so that they can create new interactions that lead to secure bonding. Grazel Garcia specializes in helping interracial couples and LGBTQ couples create healthier and secure attachments with their partners. In addition, Grazel offers pre-marital counseling services to couples who are newly engaged and are getting ready to learn how to communicate effectively about marital concerns. Please reach out to Grazel Garcia at (323) 487-9003 or go to her site for more information about couples counseling in Los Angeles.